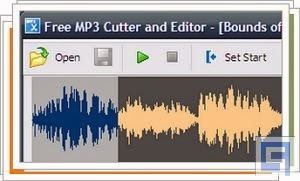 With Free MP3 Cutter and Editor you will be able to cut audio files, join and edit it. The freeware provides simple tools for cutting MP3 and WAV files, and provides audio clips with simple effects. Despite its name Free MP3 Cutter and Editor opens not only MP3, but also WAV files and stores the result in one of two formats. Using drag and drop you can pull the clips directly into the clear user interface. Using markers to select the range to be processed and deletes unwanted content. Free MP3 Cutter and Editor fulfilled their purpose simple and easy to use and bring everything you need for simple cut, join and edit audio files.